Q: What courses are offered at Curtin Malaysia? Curtin Malaysia offers a wide range of courses. For an in-depth look at the courses required for the specific major, refer to the prospectus or you may find it at Our Course webpage. Q: How do I know if I meet your entry requirements? Q: What is your minimum requirement for English Language? As all our courses are conducted in English, we require that applicants demonstrate competencies in English to meet the English Language Entry Requirements. If your English qualification does not meet our minimum English language requirement, you may undertake the Intensive English Program (IEP) to improve your English proficiency before joining our programs (subject to you meeting the required IELTS test scores for each programs). Q: What sorts of documents is required for assessment purposes? Depending on the qualifications and course you are applying to, you are required to attach/upload the relevant documents when you decide to submit your application online. You may contact Admission Office for further enquiries. IGSCE A-Level/ STPM/ Foundation Transcripts or Final Transcripts/ Diploma Transcripts (completed course)/ International Baccalaureate/ Curtin College transcripts and etc. English Language Entry Requirements differ for both Foundation and Undergraduate Courses. E.g. Foundation – SPM English/ O-Level English/ IELTS/ etc. Degree – SPM 1119 English/ IELTS/ TOEFL/ etc. Q: I have decided to submit my application to you. How do I apply online? You may submit your application online through eApplication. Please ensure you have attached all the required documents for assessment and CRL (if applicable) purposes. Your offer letter will be sent to you via email (within 3 working days) or longer if indicated otherwise. Kindly be informed that due dates for accepting the offer and payments must be strictly adhered to in order to ensure that you are able to commence your studies on time. You may refer to your Offer Letter or the Academic Calendar for the due dates. Please also ensure that you have attached all the required documents by referring to the New Student Checklist on the last page of your Enrolment Form. Malaysian applicants must submit their applications the week before the class commencement date. For International applicants may have their own deadlines for applications. Thus, you may contact International Admission Office for further details. Q: How long before I know if I am eligible for the course I have applied for? The Admission Office aims to generate the Letter of Offer and email it to you within 3 working days for a standard application and 5 or more working days if Credit Recognition Learning (CRL) needs to be assessed by the School. This includes time taken to follow up on information with you (if required) and assessment of your qualifications and CRL (if any). Applications for PhD courses are required to go before the Divisional Graduate Studies Committee, and can take up to a month or more depending on the next scheduled Committee meeting. Q: I have completed my registration. What’s next? If you have completed the registration process, you will receive an email with your User Account Details. Your eStudent account is automatically activated. Please DO NOT copy paste the password. Q: How to access your eStudent account after registration? Go to e-Student at Curtin’s Sarawak official website and Log In. Your Username is your Curtin Student ID: 7000XXXX. If you forget your password, you may reset your password at Forgot your password? Please do not copy paste the password. Q: I have completed my registration. But I have not selected a course. How do I proceed? Your application will only be completed once you have selected a course of study and submitted all the required documents for the application. You will need to go back to e-Student to complete your application. You may reset your password at Forgot your password? Please do not copy paste the password. Should you face further difficulties, kindly contact Admission Centre. Q: I wish to apply for CRL/Exemption/Credit Transfer. How do I go about it? Credits toward a Curtin qualification may be granted to applicants with qualifications from other accredited educational institutions, including polytechnics and universities. For new students, it is essential to upload copies of your transcripts and award certificate (if the course is completed) from your previous institution through your online application at eApplication. These documents will be assessed to determine whether CRL will be granted. Depending upon the institution where you completed previous studies, you may need to provide the course syllabus and unit outlines. The credit transfer will be indicated on you Letter of Offer and Enrolment Form. For current students you may contact Enrolment Office. If your application is successful, you will receive an email with 2 attachments, an Acceptance of Offer and Enrolment Form. You may either sign both forms and email it back to us or you may submit the physical signed forms to us in order to accept the offer. Please take note that the physical signed forms must be submitted to Admission Office upon registration. The due dates and indicative fees are stated on the Letter of Offer. If you have not received your offer letter within 3 working days, please contact us at Admission Office. Q: If I want to change my course or major after I receive my Letter of Offer, what should I do? If you are a new student, you will need to re-apply through e-Student or you may request to change the course upon registration (only applies for New Student). You will be responsible for any associated costs relating to the fees if there is a change in the duration of your new course due to revised exemptions. Please make sure you have sufficient time to make the changes before you enroll. Q: If I am not eligible for the course I have applied for, are there alternative options and/or will I be considered for another course of study? The Admission Office will advise you of the outcome of your application and inform you of the options available to you. Depending upon your previous studies, Admission Office may suggest another course suited to you. Q: What is the maximum size of a file which I can upload to eApplication? The maximum size of a file is 10MB per upload. Q: I lodged an application three weeks ago for a Master course by research and I have not had a response from Curtin. What has happened to my application? Applications for Master by Research and PhDs usually take longer than the standard application as the Graduate Studies Committee must approve them. Depending on when the Graduate Studies Committee meets, your application may take up to a month or more to process. Q: Who can certify my documents? An Academic Registrar of the institution that issued the transcript. 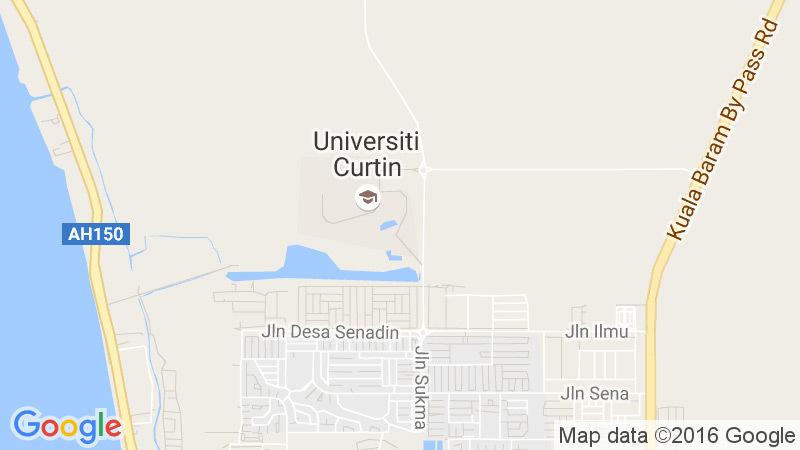 Q: I am transferring from Curtin Campus Bentley to Curtin Malaysia, how do I apply? Q: I am a Current Student at Curtin Malaysia and would like to transfer to Curtin Campus Bentley. How do I apply? Kindly contact the International Division directly for further enquires.